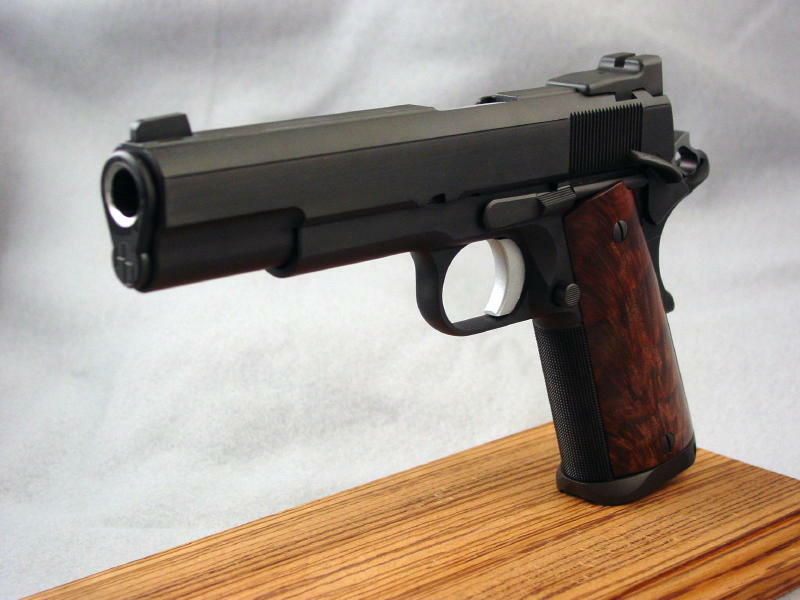 My "Peerless" pistols are built one at a time on customer supplied Colt NRM or Series 70 base guns, sparing no attention to detail. As with all of my work, nothing is farmed out, other than tritium inserts and specialized finishes. All of the custom work is done in my shop, with my hands. 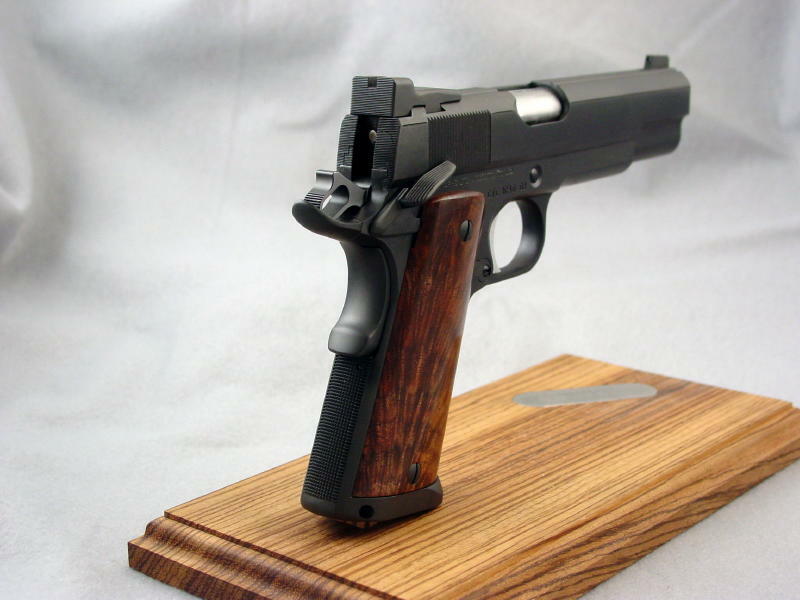 Each "Peerless" pistol is crafted as if it were to be the final pistol leaving my shop and will serve as the defining example of my craftsmanship. Slide to Frame fit is tightened and hand lapped for maximum contact in bearing surfaces with smooth operation and no play. Kart match barrel and EGW bushing tightly fitted for superb accuracy and reliability. 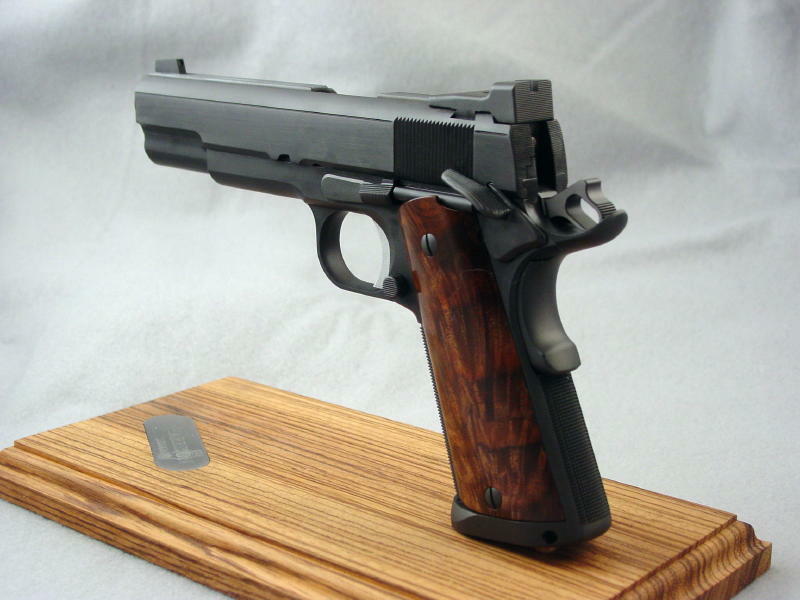 Note: certain calibers other than .45 ACP require ramped barrels at extra cost. Bo-Mar BMCS style rear sight low mounted in deluxe pocket cut with custom machined dovetail front sight, machined to customer's spec. 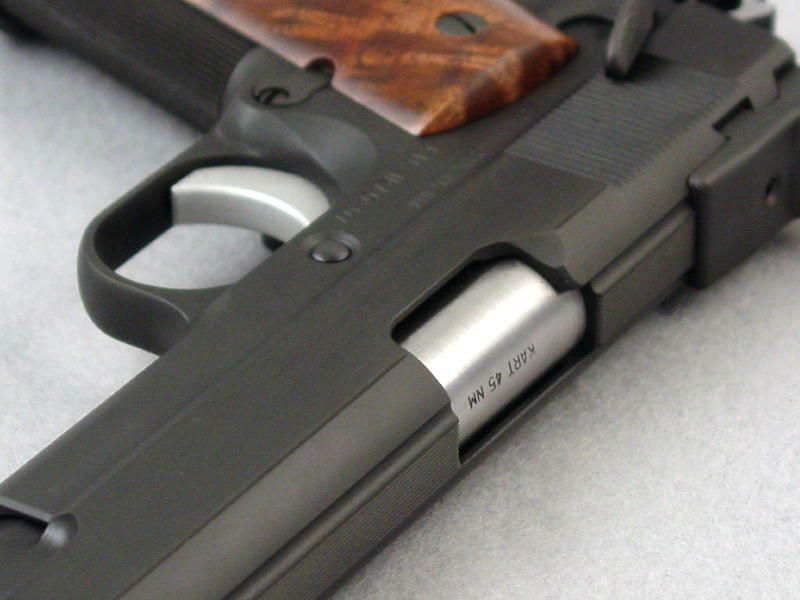 Slide is flat topped with a bordered cut and serrated 40 lpi. Slide's spring tunnel radii are machined to .250" radius ball cut profile. Lower and flute the ejection port, relieving front edge to clear live rounds. Rear of slide, frame, ejector and extractor are blended together and serrated 50 lpi. 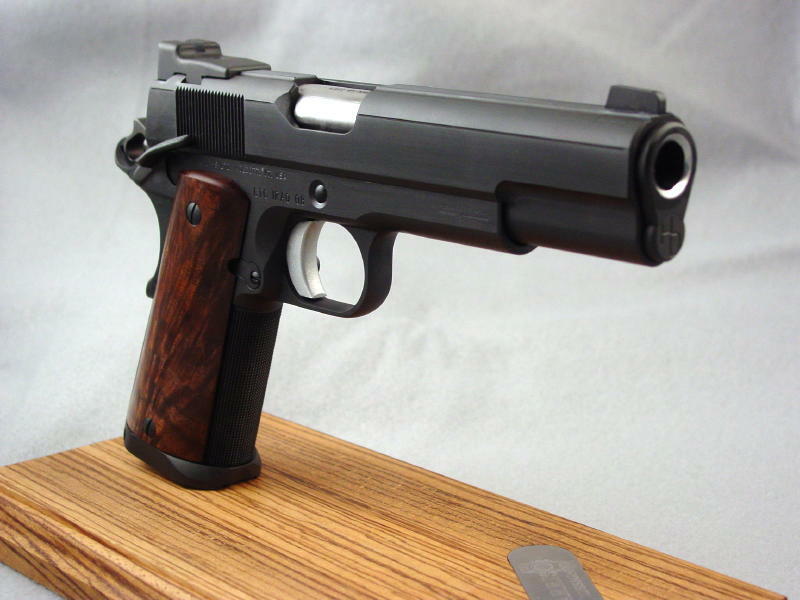 Breech face polished and firing pin hole lightly beveled. Heavy duty extractor fitted and tuned. 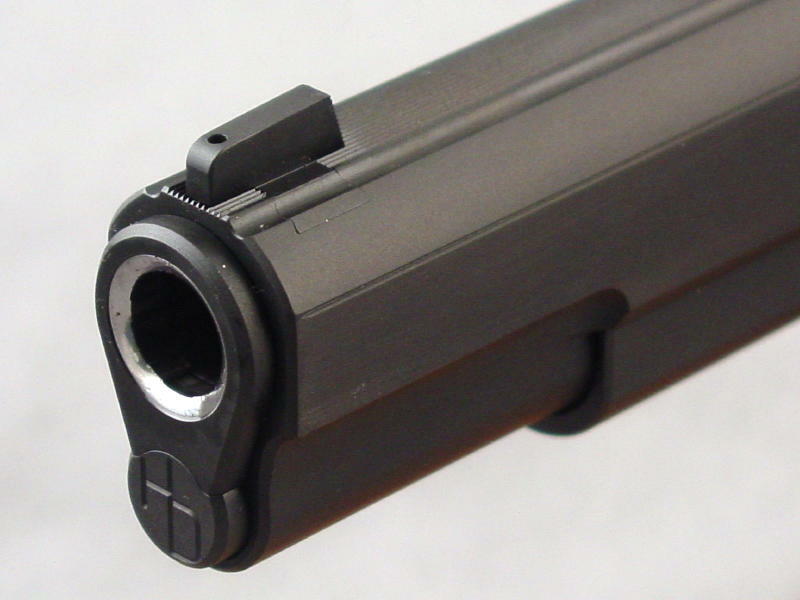 EGW oversize firing pin stop fitted to a snug fit to eliminate extractor "clocking" and the risk of a loose firing pin stop falling down, jamming the gun. EGW extended ejector fitted and Loc-Tited in place. Ambi thumb safety fitted and Carry Beveled to remove all abrasive points. 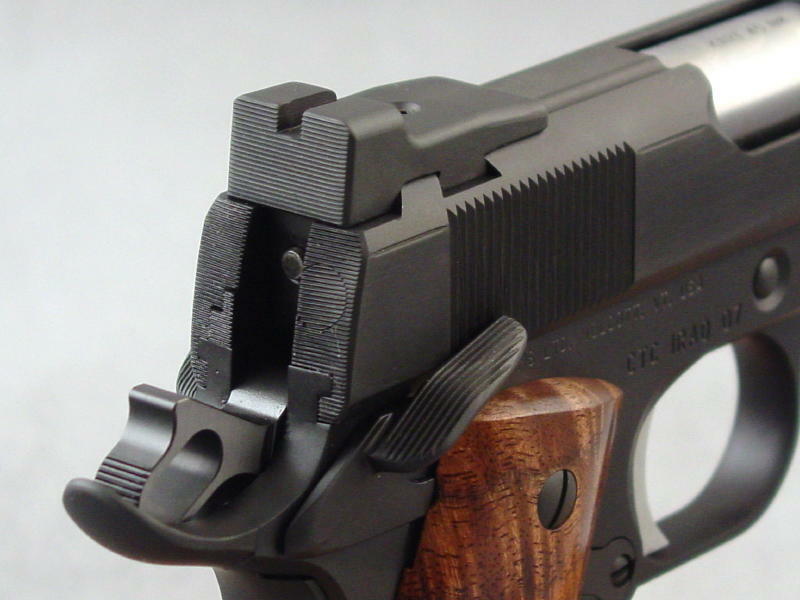 High-grip beavertail grip safety fitted to a hairline joint with the frame (either Chip McCormick or Wilson) and sensitivity adjusted for proper operation in blocking the trigger. 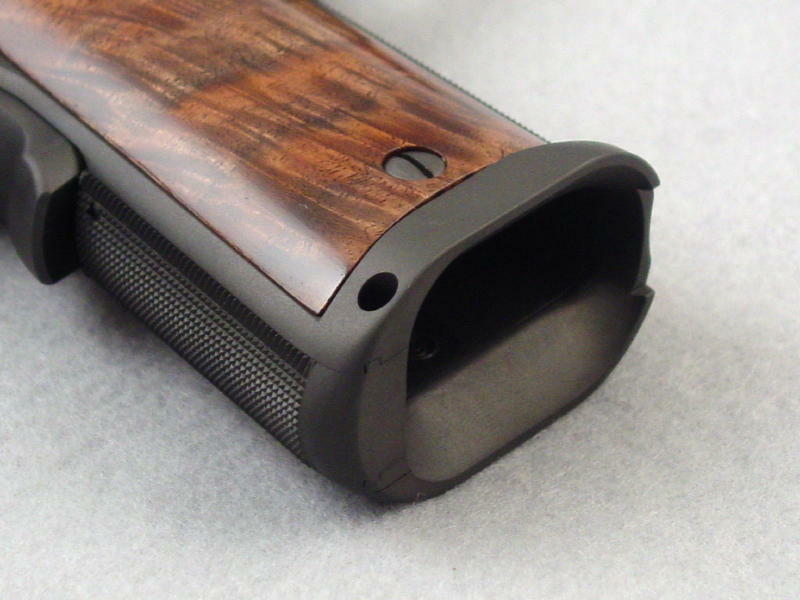 EGW bar stock slide stop properly fitted to avoid premature slide lock-back. Slide stop shortened, re-radiused and countersunk flush with frame. Harrison Design bar stock plunger tube staked in countersunk holes and Loc-Tited in place. Front strap machined for high grip, trued to remove high / low spots then machine checkered, hand finished 25 lpi, full coverage. All corners beveled and lightly melted to retain the original lines, yet remove all unwanted abrasive points. King's narrow slot grip screws with slots indexed and numbered. 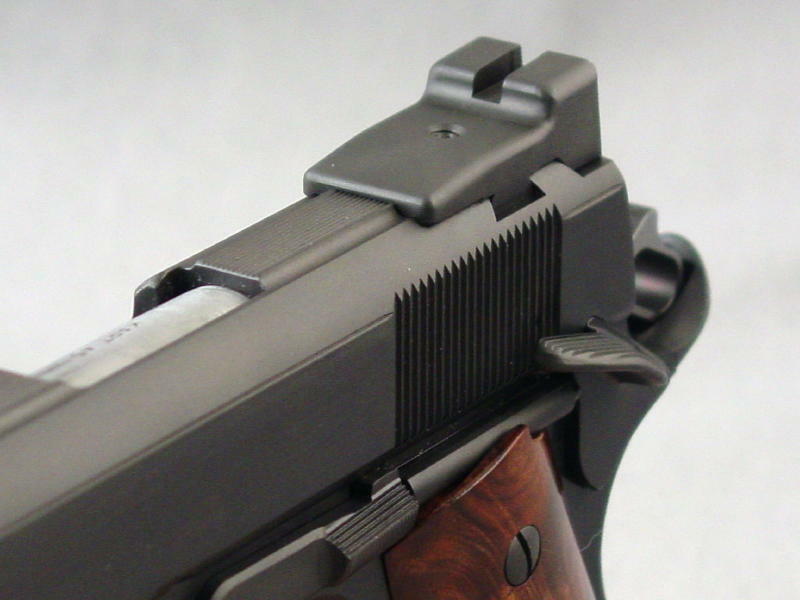 Harrison Design extended magazine catch fitted. Finished in your choice of polished blue, two-tone blue/hard chrome or matte hard chrome finish. 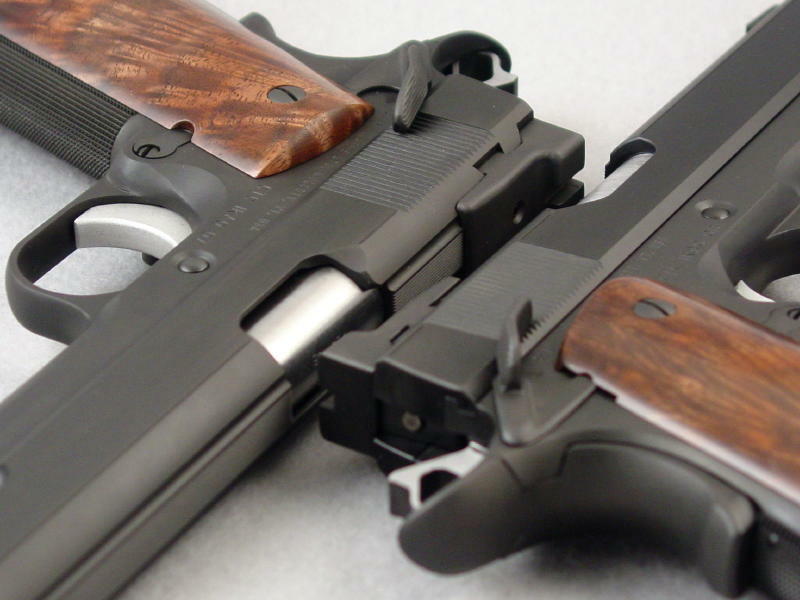 Please call or email to discuss other suitable base guns.